Looking for ways to make healthier food choices for you and your family, mama? The term "clean eating" refers to choosing a diet rich in whole foods instead of reaching for nutritionally-poor processed options. Read on for ideas on how to get started eating cleaner and more healthily! Whole foods are as close to their natural form as possible. Fresh fruit, vegetables, whole grains, eggs, nuts, and fresh meat are some examples of whole foods. These foods tend not to be packaged, shelf-stable, or frozen. To eat cleaner, try tro pepper your diet with as many unaltered foods as possible. Technically a food is processed if it's altered in any way—count frozen fruit, boxed pasta, and steamed broccoli in this category—so not all processed foods are bad. It's the highly processed ones that you really want to eradicate from your diet. These are the foods so unrecognizable from their natural state that no farmer could raise or grow anything like them. Think frozen pizza, toaster pastries, hot dogs, and microwave dinners. Whole foods tend to be located around the perimeter of the grocery store. Spend the majority of your time and money in this outer circle of the the store, where you'll find produce, dairy, eggs, and meat. The bulk bins are a good place to find minimally processed nuts and seeds, whole grains, and unrefined sugars. Highly processed foods such as boxed cereal, salad dressing, sliced bread, and chips are usually displayed in the middle aisles of the store. Start reading the ingredient labels of any packaged foods you're considering purchasing. Pass on any foods that contain long lists of unidentifiable ingredients, artificial colors, or preservatives. Highly processed foods often contain refined grains like enriched flour, refined sugar, and high fructose corn syrup; avoid these nutritionally-poor ingredients if you're on a quest to eat clean. Prepared foods like TV dinners and canned soup, while quick and easy, are almost always overly processed and unhealthy. If you want to grab something ready-made, check out the deli section of your grocery store. Look for freshly-made take-and-bake pizzas, veggie-based salads, brown-rice sushi, and soups made in-store. Eating cleaner will require more cooking and preparing food at home. Restaurant meals tend to be rich in unhealthy fats, refined grains, and added sugar, all the things you want to avoid. Cooking your own meals allows you to control what you're eating and keep it on the healthier side. The name says it all: junk food literally has no health benefits, and in many cases is actually bad for your body. But it's probably hard to imagine a life without chips. The good news is an increasing number of better-for-you snacks and treats are appearing on the market and in stores. If you can't give up junk food entirely, check out your grocery store's heath food section for healthier snacks like whole-grain crackers, chia-and-flax-enriched chips, and cookies naturally sweetened with applesauce. 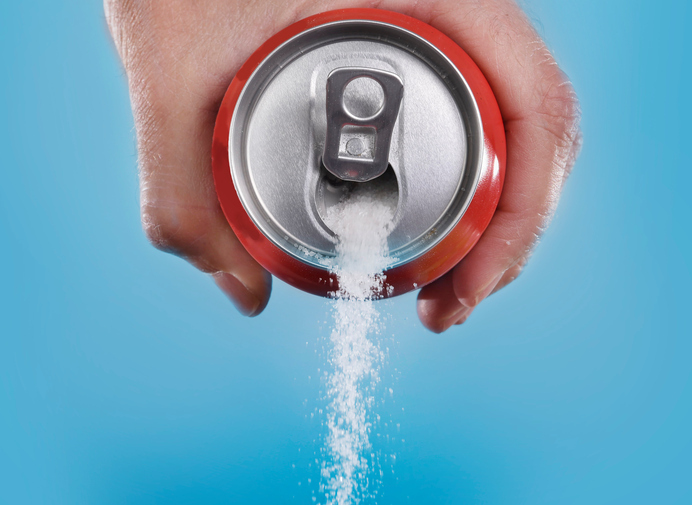 Health experts have been in agreement on this one for awhile: sugary beverages such as soda, sweetened iced tea, and fruit juice aren't doing anyone any favors. Devoid of nutritional value, these drinks eat up huge amounts of your day's allotted calories and thought to be major contributors to the obesity epidemic. Swap them out for water flavored with pieces of fruit, unsweetened iced tea, or seltzer water in a cleaner-eating move. It can be overwhelming to try to determine what ingredients to avoid and what products are truly healthy, especially if you're trying to grocery shop with your kids! Luckily, there are a number of apps that can help make it easier. Do a search for "clean eating" in your phone's app store and try out a few. One of the most popular is Eating Clean, which includes a scanner to quickly pull up a product's ingredient list via the UPC symbol. You can customize the app to show alerts when a product contains something you've tagged, such as MSG or artificial colors. A great source of whole foods (with limited processed-food temptations) are farmers markets. Your local farmers market is a great place to get fresh, local, and in-season produce. It's more likely to be grown organically as well, a good way to limit your family's exposure to possibly toxic pesticides and fertilizers.